iPhone Music Manager Free and highly-focused! Let you manage iPhone songs and ringtones at will. Transfer Music and Playlist Free and quick drag &amp; drop music, playlists, audiobooks from Mac/PC to iPhone, or from iPhone to computer. Make iPhone Ringtone Make your favorite vibe turn into your own special iPhone ringtone with this free iPhone Music Manager. Edit and Convert Music Edit music titles and album names as well as converting music from various formats to MP3/AAC. The detailed tutorials below teach you how to transfer, copy, download, and add music and playlists from computer to iPhone/iPad for free. No matter you want to export your voice memo from iPhone to computer or import any songs you saved on your computer to iPhone, DearMob iPhone Music Manager helps you for free. Free iPhone Music Manager – Transfer/Edit/Delete iPhone MusicDearMob iPhone Music Manager offers you the feasibility to manage music on iPhone freely. One-click transfer any music song to Mac/PC for backup, edit the music info, batch-delete songs you no longer need, make ringtone, etc. 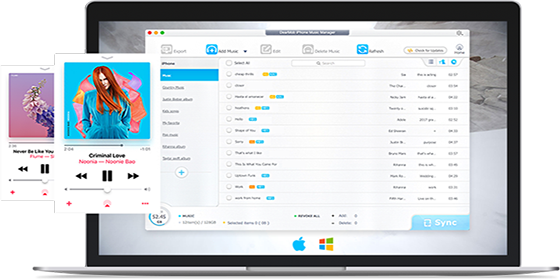 How to Free Copy Music from iPhone 8 to Windows 10 PCThe easiest way to copy music and music playlist from iPhone 8 to PC Windows 10/8/7, free iPhone music manager helps you to manage and sort out your iPhone music files with ease. iPhone 8: Top 3 Ways to Add Music to iPhone 8/7/6s/SE/6/5sHere teaches you how to add music to iPhone 8, iPhone 7, iPhone 6s, 6, etc. in 3 ways without iTunes for free! You will be able to add music to iPhone from computer, add music to iPhone via online downloading and add music to iPhone from another iPhone easily after you read this article. How to Free Add MP3 to iPhone 8/7/6S/6 etc from Computer? Finding a way to add MP3 to iPhone 8/7/6S/6 etc from your vast MP3 music collections on computer? There are two free ways including iTunes syncing for you to add MP3 songs to iPhone to enjoy on the go. How to Delete Songs &amp; Albums from iPhone 7/6S/6 &amp; Plus?Here is how to delete songs from iPhone 5/5S/SE/6/6S/7 &amp; (Plus) to rescue the sizeable storage deficit for more apps, games, photos, etc. iPhone 8 | How to Download Music from Computer to iPhone 8?How to download music from computer to iPhone? This page introduces some no-sweat ways to help you download music to iphone 8 from computer in MP3 AAC FLAC. How to Add Songs to iPhone from Computer for Free How to add songs to iPhone 8 for free and without iTunes? Read this article to know the answer, it teaches you how to add songs, music albums, playlist from computer to iPhone in the easiest way. Best Free Music Organizer for iPhone (8), iPad (Pro) &amp; iPodAssort, orgainze and manager all iPhone music with best iPhone music organizer. Keep your massive music library in order on iPhone 8/7/6S &amp; Plus/6, Pad (Pro) and iPod. 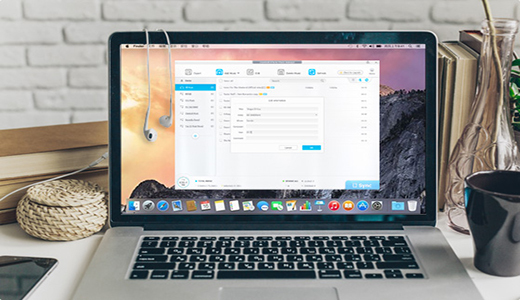 How to Copy Music from iPhone to Mac without iTunes Syncing?It'll never be such easy to transfer songs (including non-purchase music) from iPhone 7/7 Plus/6S/6/5/SE etc to MacBook/MacBook Pro/Air/Mac Mini/iMac with this iPhone music transfer Mac tool. iPhone ringtone, Message tone and even alarm music. Use the new and unique iPhone 8 ringtones to customize your new iPhone 8, make your iPhone 8 different from others and enjoy music ringtone songs from your favorit artist whenever you get a call. Best free ringtone maker for iPhone 8 roundup list 2019! Change iPhone 8 default ringtone can be way easier than ever after reading this guide. Make free ringtones from your iPhone Apple music with free ringtone maker iPhone 8. The most important feature of a music manager is to manage music, DearMob iPhone Music Manager helps you to sort out songs by artists, genres, time and you can also customize your music playlists. What's more, it supports auto-convert music to MP3/AAC, completely solves the problem of music format incompatibility. 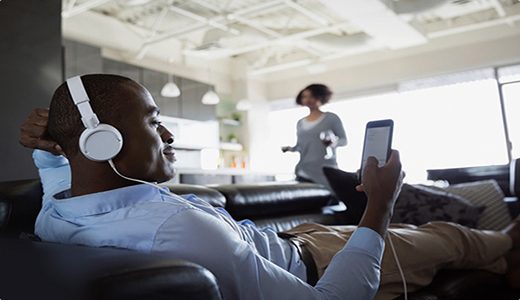 Best Music to MP3 Transfer and Convert SolutionMusic transfer to MP3 - perfect solution to transfer music to iPhone iPad iPod as MP3 by auto converting music to MP3 incl. convert WMA to MP3, WAV to MP3, etc., so as to play any audio files on iPhone 7/6S, iPad, etc. How to Sync Contacts iPhone to New iPhone 8 Ultimate GuideSync contacts iPhone to new iPhone 8 is the first thing to do when you switch to a new device. We recap 4 tried-and-true method for you to transfer contacts from an old iPhone to a new iPhone 8/7. iPhone MP3 Converter Add Free YouTube Music to iPhone Free iPhone MP3 converter enables you to free convert music in any music format to iPhone compatible MP3 music and add MP3 playlist to iPhone directly. Ultimate Guide on iPhone File Transfer All questions on how to transfer files between iPhone and Mac/Windows get answered here. Guide on iPhone Data Backup Transfer All questions on how to manage, backup and transfer data on iPhone iPad get answered here. Guide on iPhone to iPhone Transfer All questions on how to transfer everything from old iPhone to new iPhone get answered here.